It isn’t necessarily the most straightforward card game to get to grips with. You aren’t battling other cards, nor are you playing a variety of solitaire. Rather, you use your cards by placing them on a variety of actions. You are posed with a standard set of actions at all times; work, dream, study and explore. Over time, your actions might reveal another temporary action, some which you can influence, others you must wait to play out over time. 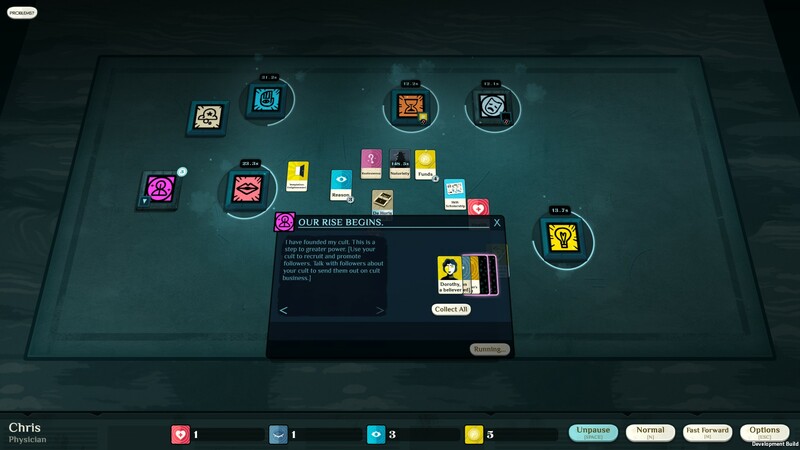 You will die (first time around, I used my health card on….sleep….and promptly had no health left), or get caught by pesky investigators; I’ve got one on my tail right now, but without any followers strong enough to knock my opponent off, I might just have to keep my head down and hope for the best. Or shall I send my followers out to the Ecdysis Club to try and find more pawns to worship at my feet, or acquire more lore that I can ponder and use to further my occult ways. So many cards…all lovingly drawn. There’s a certain joy to going out to the world, talking about your dark arts and gaining an acquaintance. They might not be a follower yet, but with the right combination of cards, they can become one that I can safely call your own. Things look promising, my flock is growing, yet I ask my newest to carry out some shady business…only for something dreadful to happen. A human corpse end up at my feet. That poor sod, I never knew his name. But what can I do? The card of the corpse will expire in 60 seconds, but the investigator who has been on my tail for so long is sniffing around again. My other followers lack the skill to interfere in their business, and the investigator draws in other cards that appeal to them at their own will. That includes the body….which leads to evidence being gathered and turned over to the authorities. Trail…imprisonment…and the loss of my cult awaits. Not the ending I deserved! 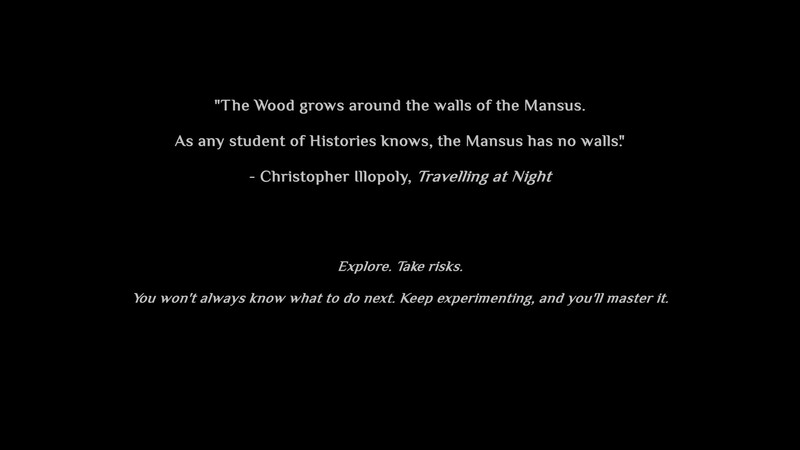 All is never entirely lost, you take something from each death, imprisonment or other doom into your next adventure. 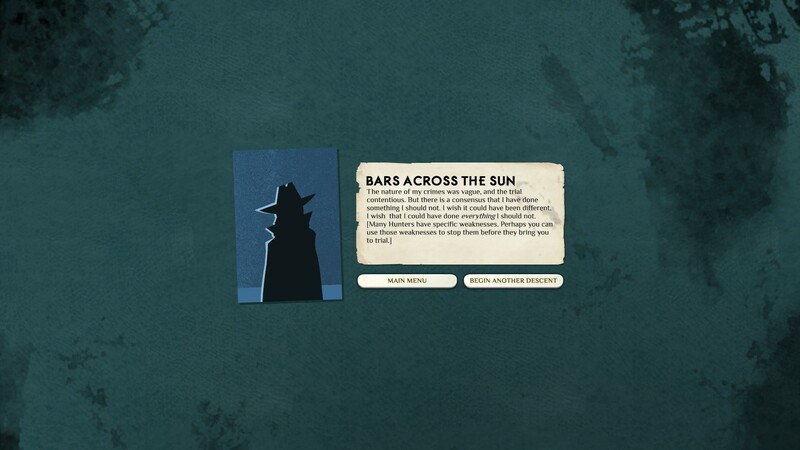 Having been locked up, I could become a detective in my next journey, earning my money, and possibly connections to bump off any nefarious investigators. 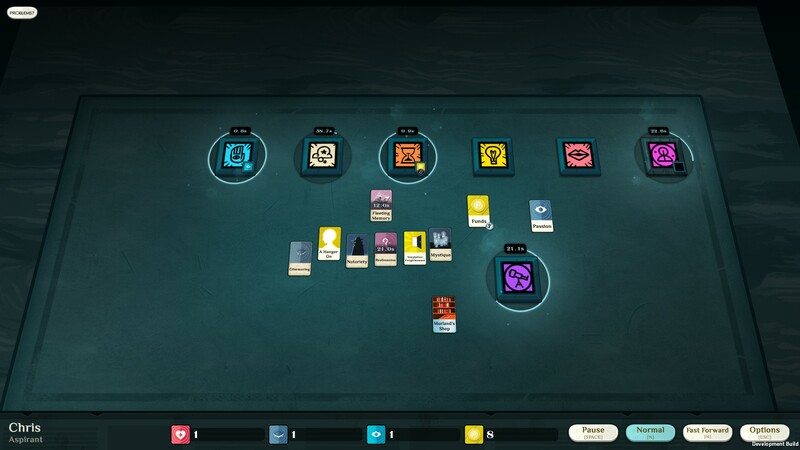 Cultist Simulator is a gorgeous game, the team working with Alexis have done a very impressive job designing and painting the cards, and the changing background to the board. Some might bounce off the game in the first few minutes, but they’re the fools. Take your time, put together the pieces, uncover the lore, expand your cult and take a wonderful journey. Review based on code supplied by PR. Please head here for more on our scoring policy.